With 1:39 remaining on the clock in last Wednesday’s semifinal against the Bishop’s University Gaiters, it was evident the Concordia Stingers men’s basketball team’s season was already over. After a frustrated Morgan Tajfel fouled by grabbing the ball out of Bishop’s guard Jonathan Bermillo’s hands, the death knell rung out on the Stingers’ season. 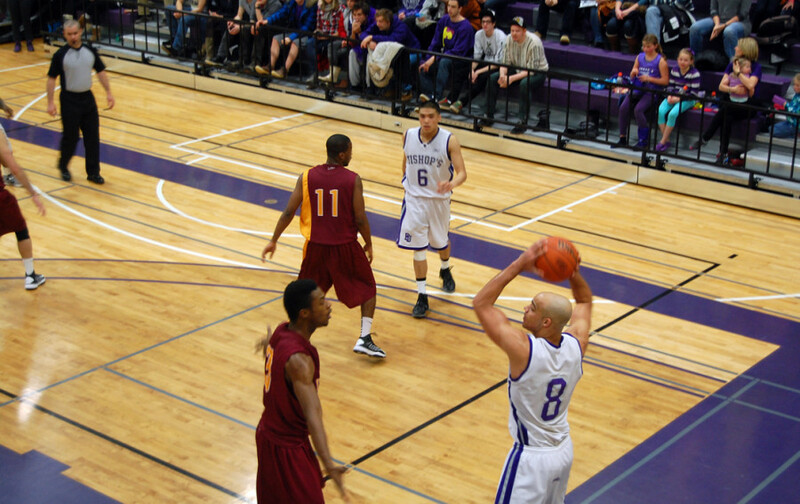 Bermillo stepped to the line and sank a free-throw shot to put the Gaiters up by six. “There’s a lot of issues we had during the game, and they wanted it more than we did,” said Stingers point guard Kyle Desmarais. The Stingers got off to an 8-0 run just under three minutes into the opening period, but things quickly shifted the Gaiters’ way when forward Tim Hunter scored a three-pointer seconds later as Bishop’s then came from behind to take an 18-11 lead. The Stingers would make a comeback of their own, retaking the lead 33-31 with 1:58 left in the second period. But aside from briefly going ahead by one point late in the third period, the Stingers would never lead again en route to a 70-63 loss. 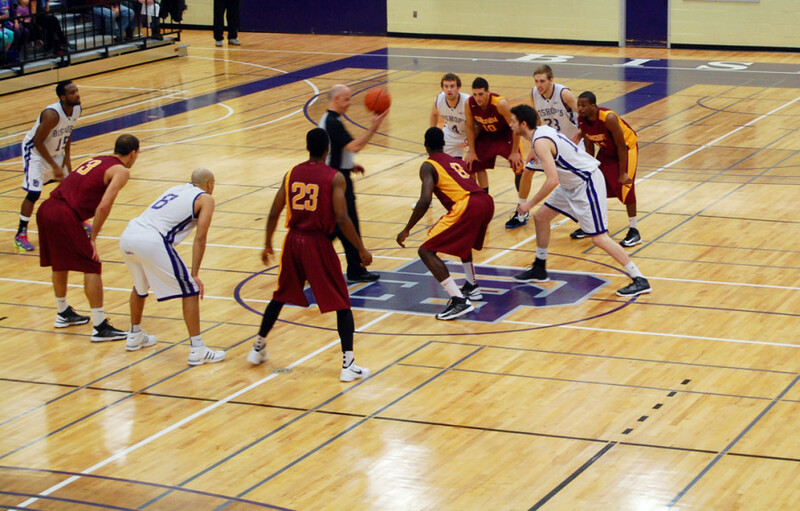 One reason the Gaiters advanced to the Réseau du sport étudiant du Québec final is because Concordia lacked ball control. Not helping matters was that the Stingers only made 31 per cent of their shots. Some of their loss also can be blamed on their season finale performance, when the Laval Rouge et Or defeated them 84-62 on Feb. 22. It was a game the Stingers needed to win to host the semifinals. Instead, last Wednesday saw them march into a packed Mitchell Gym at Bishop’s. “When you go and play on the road in front of a rowdy crowd, it’s always a benefit for the home team,” said Rosa. But the biggest reason for the Stingers’ early playoff exit is the string of injuries to numerous key players they suffered over the course of the season. “Almost everybody except our two youngest guys went through some kind of major injury this year,” said Rosa. Among the notable injuries this season were a knee injury that forced Tajfel to miss seven weeks and one that kept guard Jean-André Moussignac out since Feb. 1, as well as a broken thumb to forward Taylor Garner. “I’ve never been on a team that has had so many injuries,” said Desmarais. Rosa, who has been coaching the Stingers since 1994 and made his playing debut for them in 1987, said the same was true for him as well. Indeed, with the team that entered the season virtually the same one that went 14-2 and won the RSEQ last season, a lack of talent wasn’t the issue for this year’s Stingers. In fact, the injury situation was so bad this year that Desmarais himself had to play through an ankle injury he suffered on Feb. 17. “Under normal circumstances, he wouldn’t be playing tonight,” said Rosa. But the Stingers were fortunate he did: Desmarais was the heart and soul of the team last Wednesday, scoring a team-high 21 points and logging 37 minutes of playing time. “He played like a champion. He did the best that he could under the circumstances and really showed a lot of guts,” said Rosa. With the Stingers’ season officially over, the team’s coaching staff will now turn their attention to filling some holes in the lineup with the graduation of fourth-year veteran Tajfel and forwards Evens Laroche and Kafil Eyitayo, the latter two of which have completed their fifth and final year of Canadian Interuniversity Sport eligibility.